Beautifully illustrated, short wine guides covering six of the world's classic types of wine grapes. Order the full set and get a deluxe slipcase free! 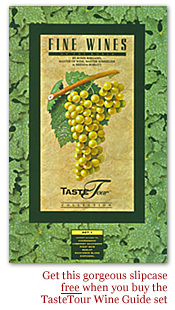 What it tastes like, including a stunning "taste map" of aromas and flavors. Order individually above or the complete set here and get a deluxe slipcase free!